Monday saw us bidding farewell to Emma's parents but with no particular desire to leave the Peak District ourselves we headed North to Monsal Head. A world renowned beauty spot, and with good reason, its elevated position gives sweeping views across the River Wye at a point where the peculiarities of geology force a sharp change in course. 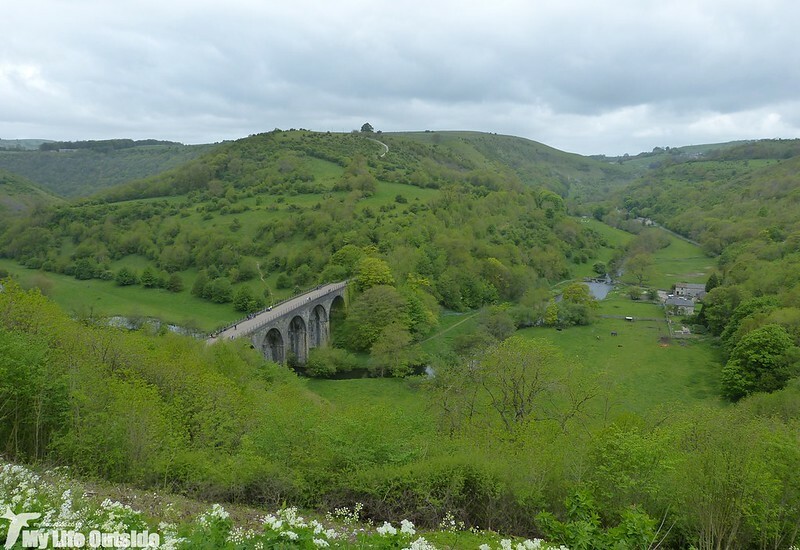 The resultant limestone valleys have attracted artists and writers for centuries and it was John Ruskin, a famous cultural commentator, who in 1863 led public outrage at the Midland Railway's plans to drive a new route through its very heart. Progress however stops for no man and the resultant viaduct, though clearly unpopular at the time, is today heralded for its architectural and historical significance. I myself am rather fond of the structure and would have loved to have captured it complete with blue sky, sunshine and none of those pesky cyclists on the upper deck. Alas Monsal Head is one of those places for which I fear fine weather is just a distant dream, or at least that's how we've come to know it anyway. It was during the exceptionally snowy winter of 2013 that we last visited, parking up at Bakewell on that occasion and walking the Monsal Trail to here. 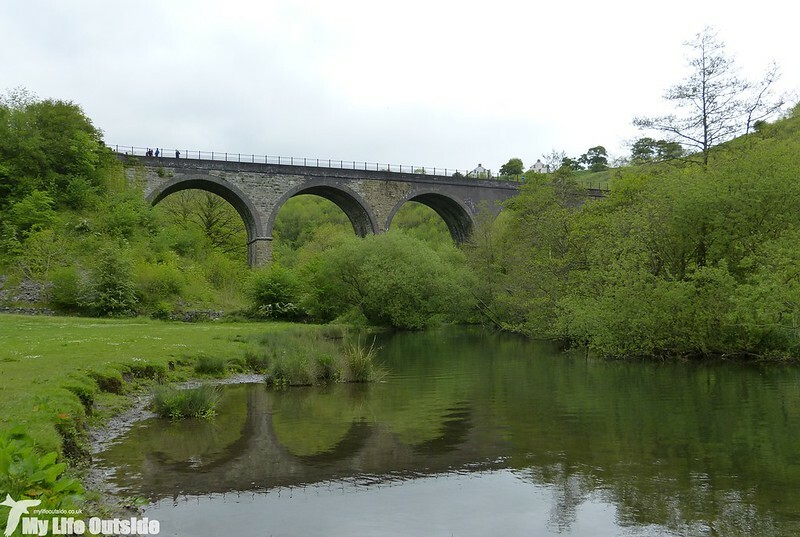 Following the route of the old Midland Railway for some eight and a half miles it is an absolute mecca for both cyclists and walkers, and for that reason an ideal place to avoid on a bank holiday Monday. 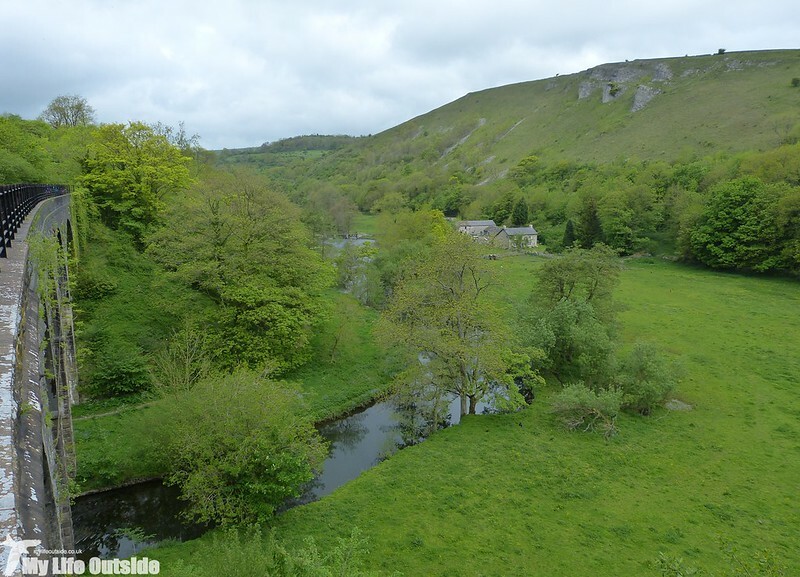 Instead we had planned a circular route of just under seven miles which would see us heading up the right-hand valley above to Miller's Dale before crossing over towards High Dale and returning via Monsal Dale itself. To get there though we had to first make the steep descent down to the viaduct. Standing over fifty foot above the valley floor is, perhaps unsurprisingly, a great way way to experience the beauty of the River Wye but turn back towards Bakewell and you're confronted with another masterpiece of engineering. 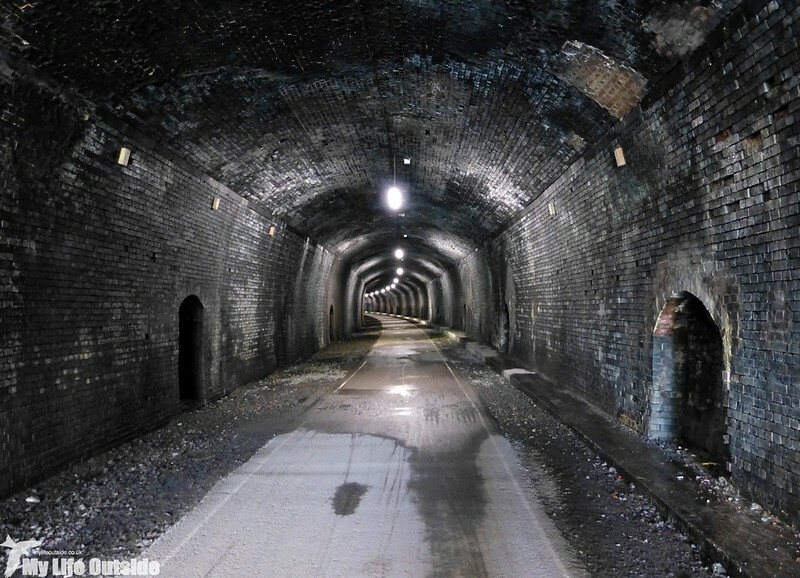 Headstone tunnel is just one of several such constructions on this stretch of line, built not only on a gradient but with a curve to follow the contours of the landscape above. All were reopened in 2011 and they offer a unique experience for anyone passing this way. 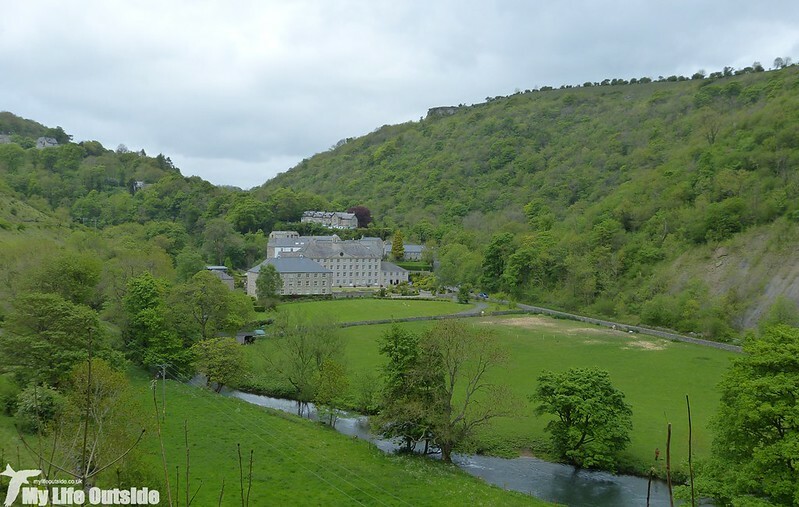 We however were heading in the opposite direction and followed the Monsal Trail only as far as Cressbrook. Built by famed industrialist Richard Arkwright it later developed a model village under the stewardship of his son, only entering public hands in 1965 following bankruptcy. Today luxury flats occupy the main buildings but the impressive millpond remains. That huge limestone cliff dominates the scene and only amplified the sound of numerous screaming Swifts which were darting overhead. 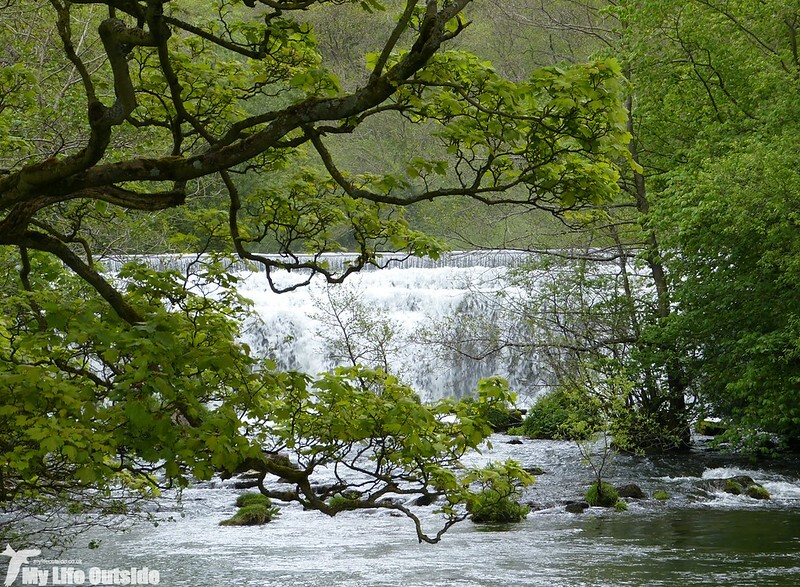 This was also the first point in the day where Willow Warblers couldn't be heard though that had more to do with the sound of crashing water than any sudden disappearance. 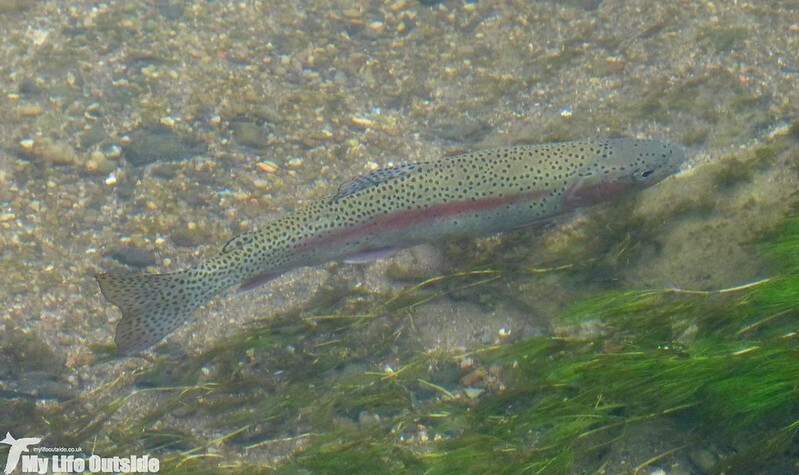 As we headed into the narrow confines of Miller's Dales they soon returned along with the waterfowl species which we've come to expect from this area. The faster flowing stretches delivered more Dippers (though no nests that I could see) but perhaps most pleasingly of all our first Spotted Flycatcher of the year. We had brief but close views of two individuals chasing each other through the canopy and a more distant but prolonged chance to study the victor (?) as it rested on the opposite side of the river. 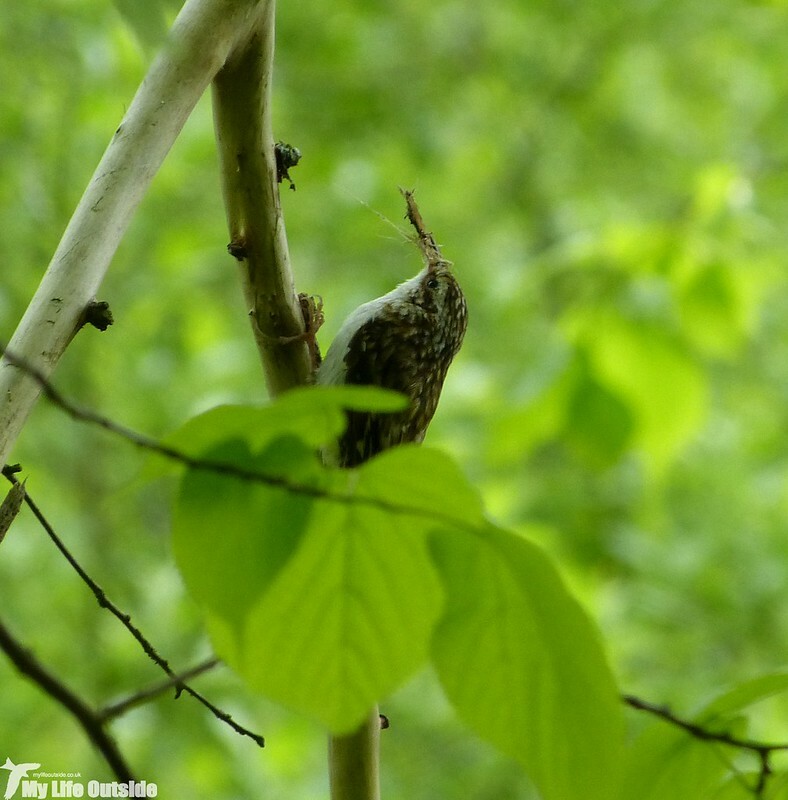 In the same location we also found a Treecreeper which was avidly hunting for insects before zipping off, only to return a couple of minutes later. Definitely a couple of hungry young mouths nearby I think. 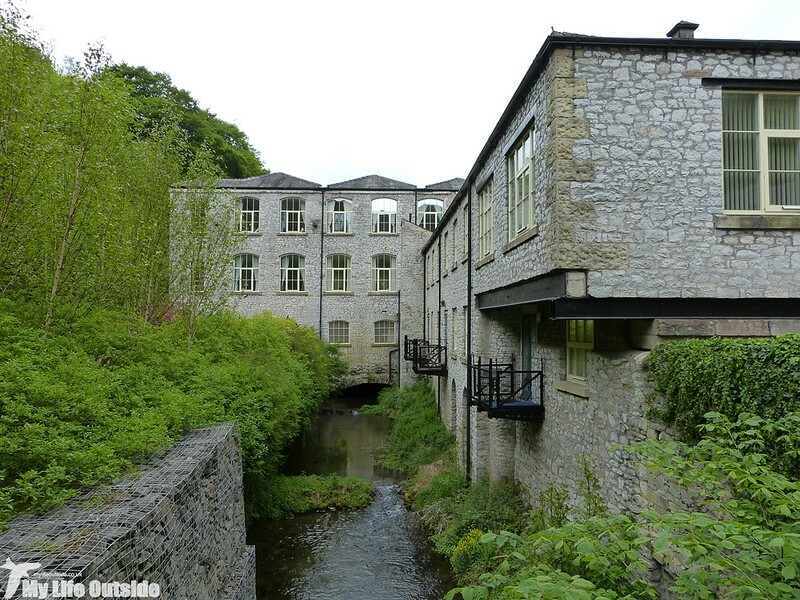 There were a couple of interesting remnants of small mills, including a partially ruined waterwheel at one point, but they were nothing as compared to the impressive sight of Litton Mill. Having a somewhat chequered history involving multiple fires and questionable employment practices it marked the point at which we said goodbye to easy going terrain and started our climb out of the valley. As it turned out the climb was steep, yes, but thankfully brief and we found ourselves near an area known as High Field. 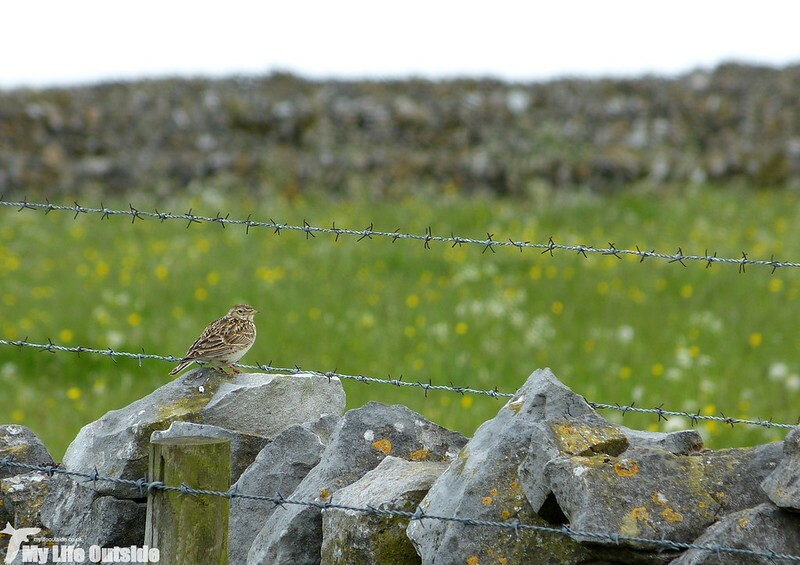 The switch from wooded valley to open hillside brought with it a change in bird life with both a Wheatear and this Skylark seen in quick succession. 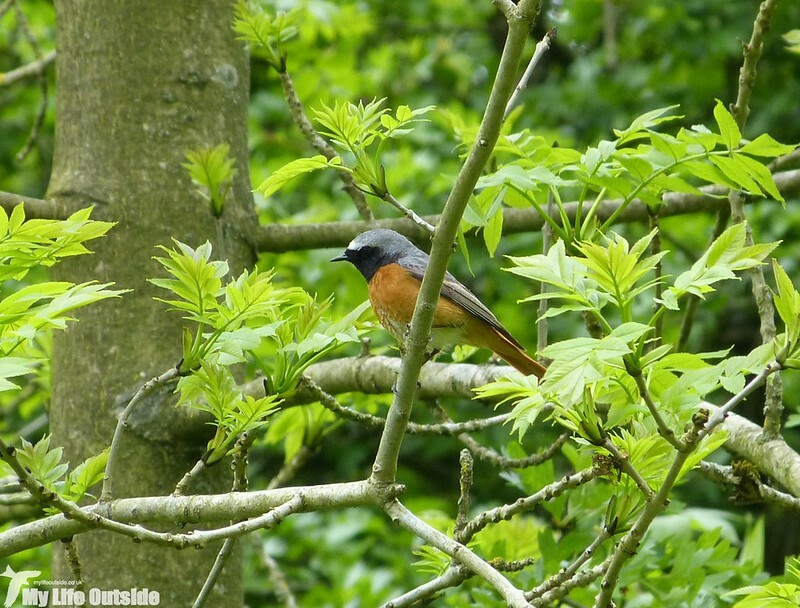 Fingers has been crossed for a Cuckoo or two and we did hear one calling fantastically well from somewhere in High Dale but unfortunately we didn't manage to connect. There was plenty more to take our interest though including ever more Swallows and Swifts and these rather attractive yellow flowers. 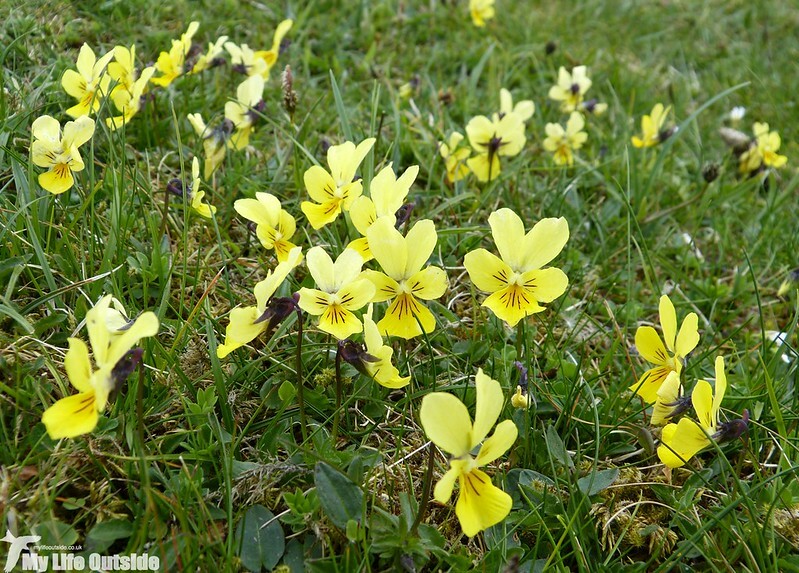 A bit of research tells me that they are Mountain Pansy's (viola lutea). I may have to abandon my claim that I don't do flowers soon. Dropping back down into Monsal Dale took us through thick woodland once more but stretching our well worn limbs was definitely worth the effort. Sitting for a while at the water's edge I spotted a pair of Resdstarts fly-catching from some nearby trees. 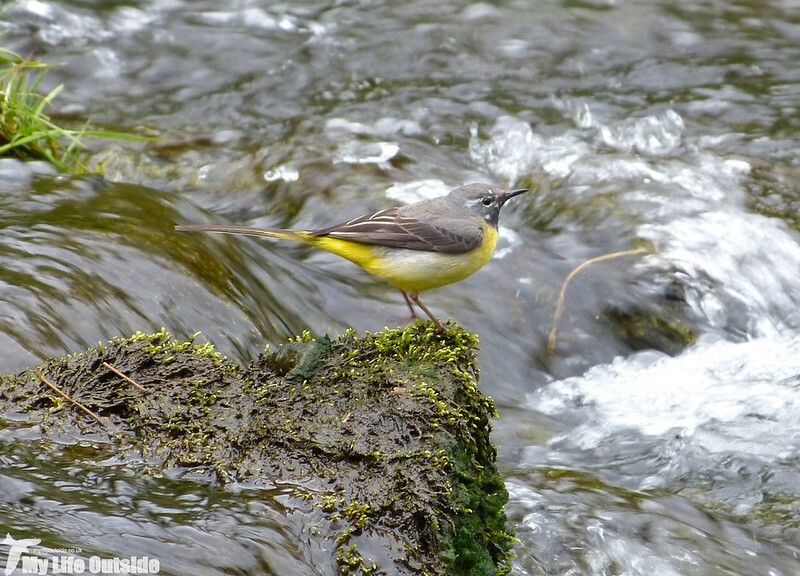 Up at the weir it was the turn of Dippers and Grey Wagtails to put on a show, one of the latter landing barely a couple of metres from my position. In the dull conditions I was pretty pleased with this effort but failed completely trying to photographing the Swifts which filled the valley, often flying within arms length. A truly memorable experience. 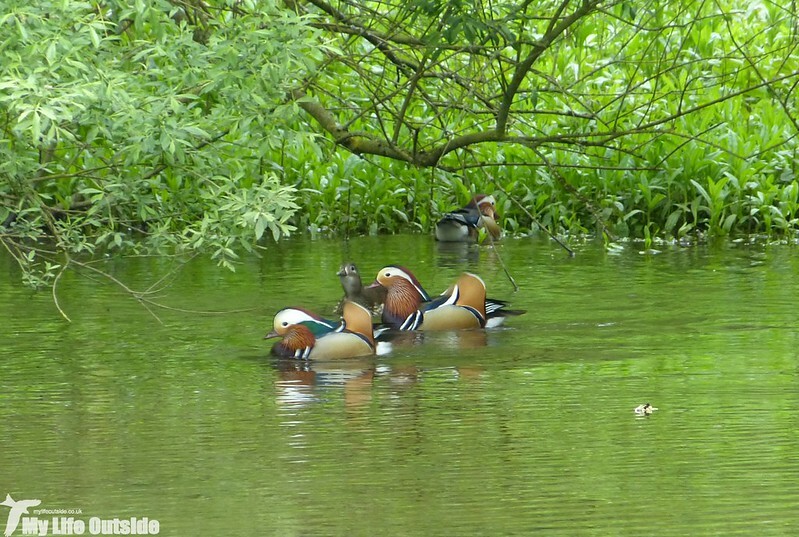 Here too were another collection of Mandarin, five males and a couple of females. As at Lathkill Dale the day before they were sticking resolutely to the shadows but I fired off a couple of shots anyway as I was determined to get at least some sort of record. The results are, shall we say, acceptable, but just look at that plumage. We need more species like this in the UK. A short distance later and we were back at the viaduct which despite conditions was just about managing to throw a decent reflection. 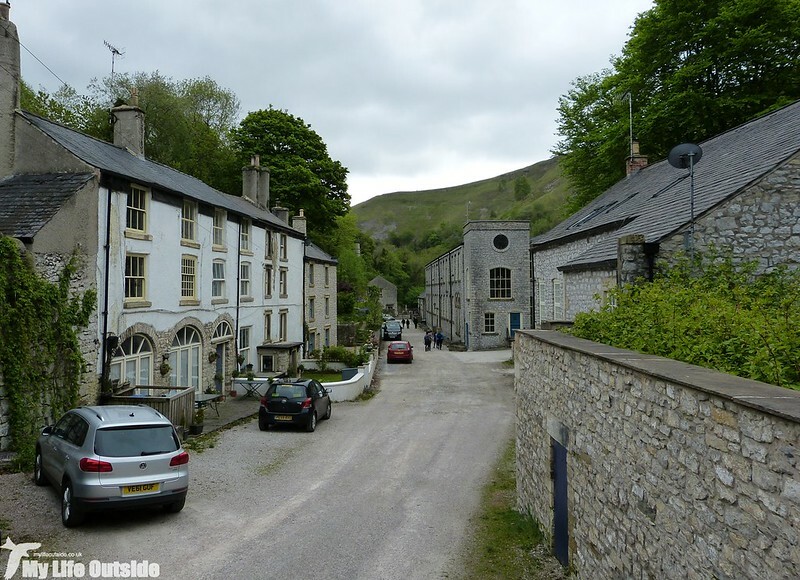 The only problem was that the building seen at the top of the hill is Monsal Head and we had to tackle one final climb before the long drive back to Wales. 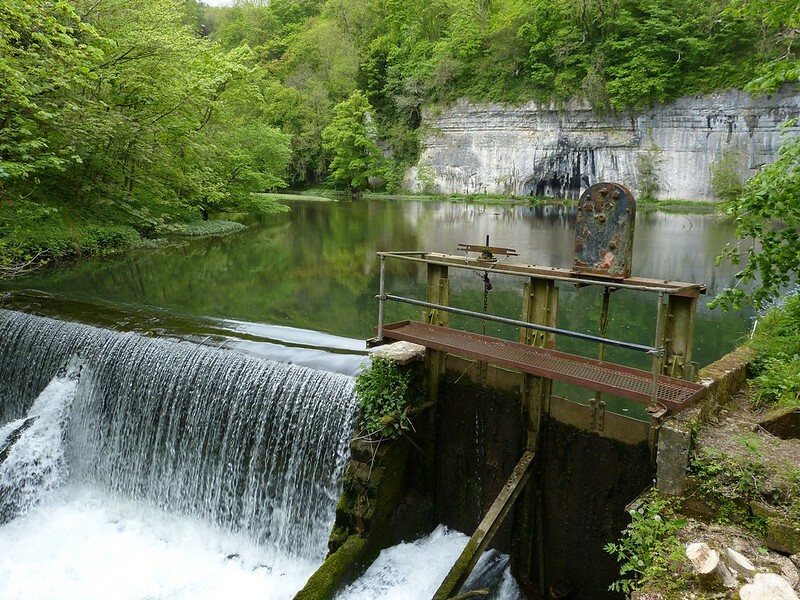 Well worth it though and a great way to explore the area if you want a little more solitude than that afforded by the Monsal Trail. Making me homesick. A beautiful walk.